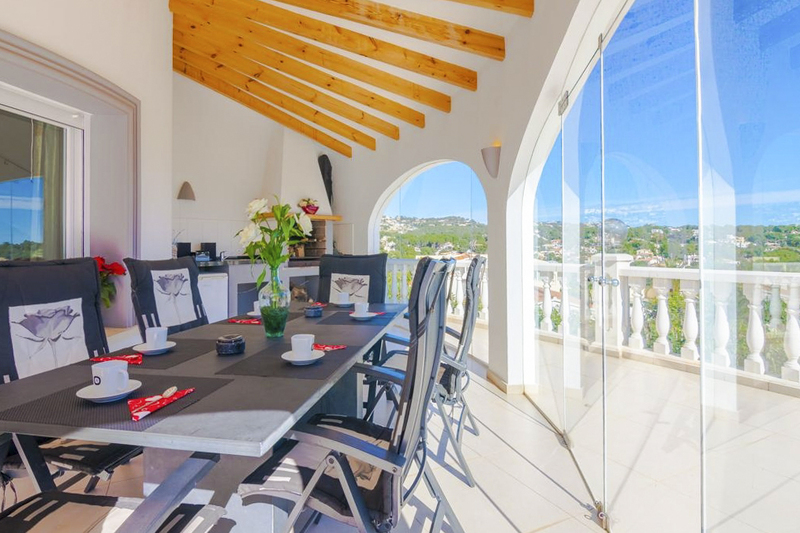 Close to the beach and the towns of Benissa and Calpe is Villa Joana, a stylish holiday home with beautiful views of the sea from many viewpoints and its extensive outside space. 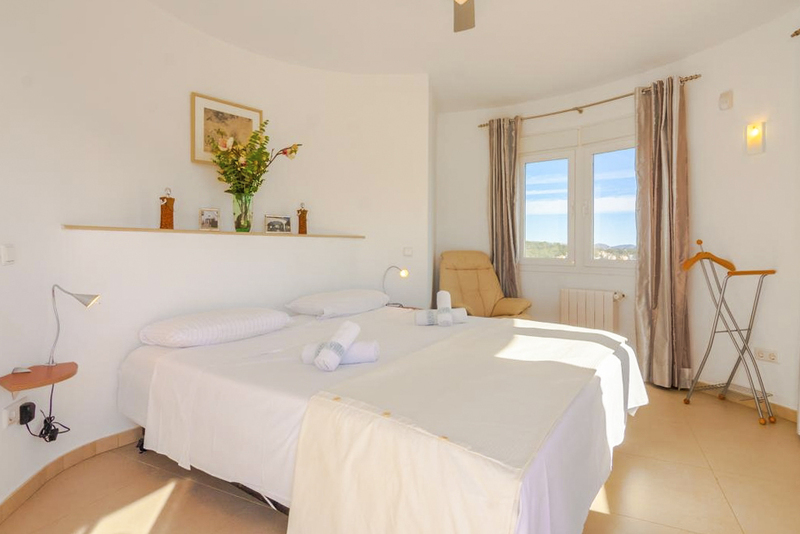 The villa has a warm, welcoming feel throughout, thanks to the plush soft furnishings and stylish décor. Terraces and balconies extend the living spaces and create a natural flow between the outside and inside. 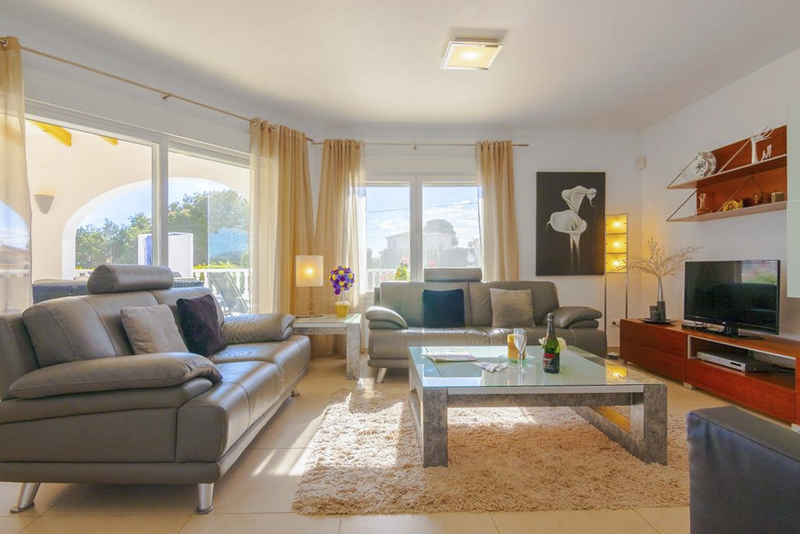 Set over two levels, Villa Joana offers beautiful and spacious accommodation. 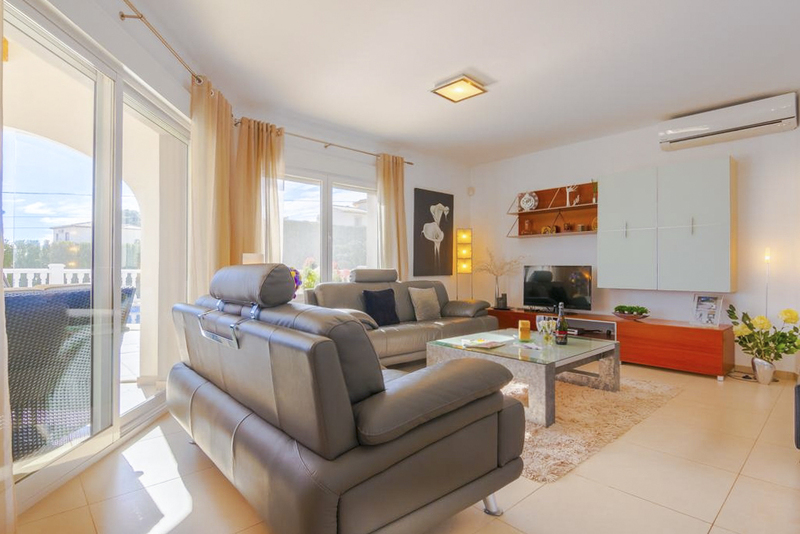 The bright, airy living room has two comfortable sofas and a chair for relaxing in front of the television in the evenings. Patio doors open onto the terrace. Go through the archway, and you’re in the dining space with a table that seats up to six people. Here also is the staircase that takes you up to the first floor rooms. 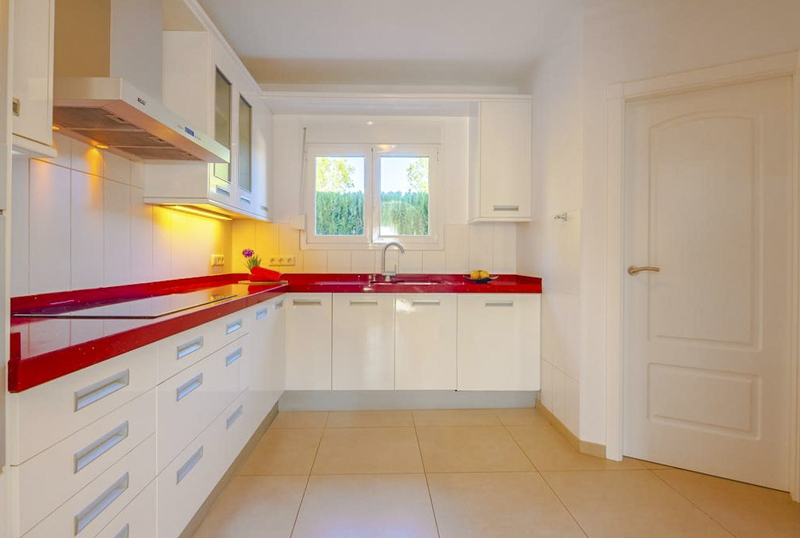 The well-equipped kitchen has plenty of facilities to meet your needs during your stay, including oven, dishwasher, coffee machine and juicer. There’s also a utility room with washing machine providing extra convenience. There are three bedrooms in total. All have ceiling fans and a double bed each, with one also having an ensuite bathroom with shower. A family bathroom features a bath to help wake you up in the mornings before spending our days at the beach or sightseeing in the local area. 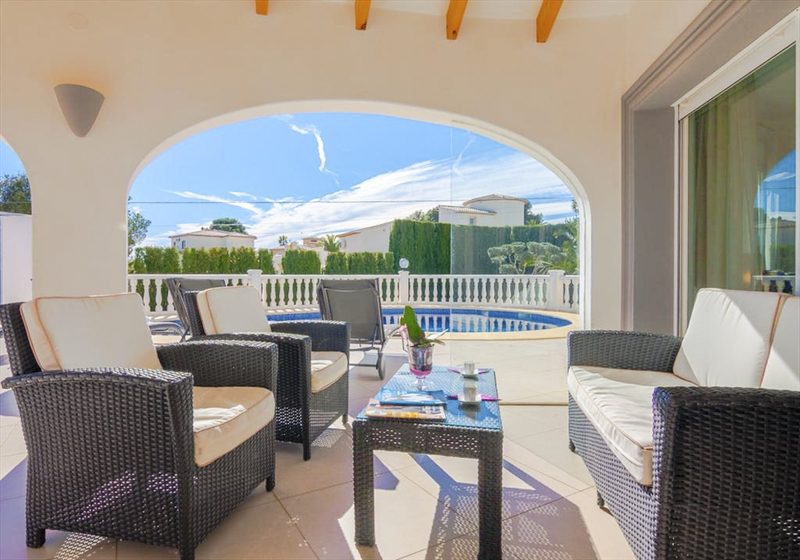 To the exterior of the villa are a variety of balcony terraces and the main terrace that’s home to a private pool, shower and several sun loungers. 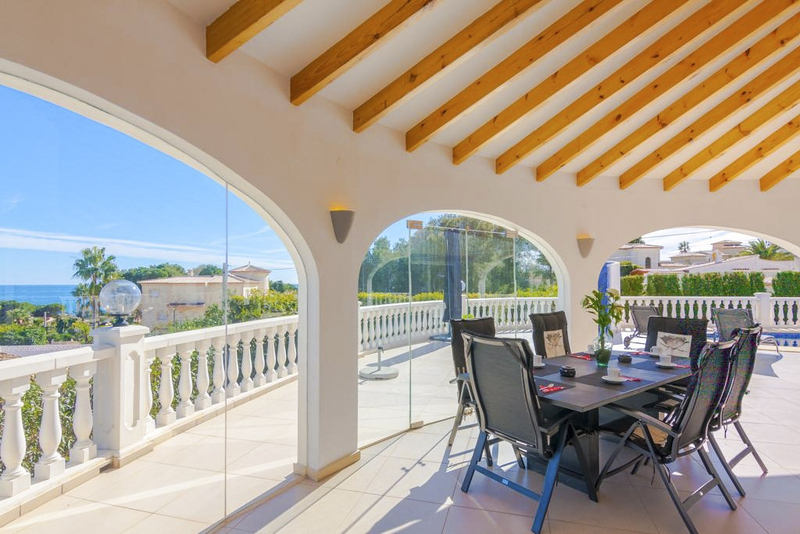 The partially-covered area closest to the villa has outdoor furniture for relaxing on and a dining table that seats up to six people. There’s also a small kitchen area with a rustic oven/barbecue. Completing the outside space is a quaint gravel garden that can be accessed via steps down from the main terrace. 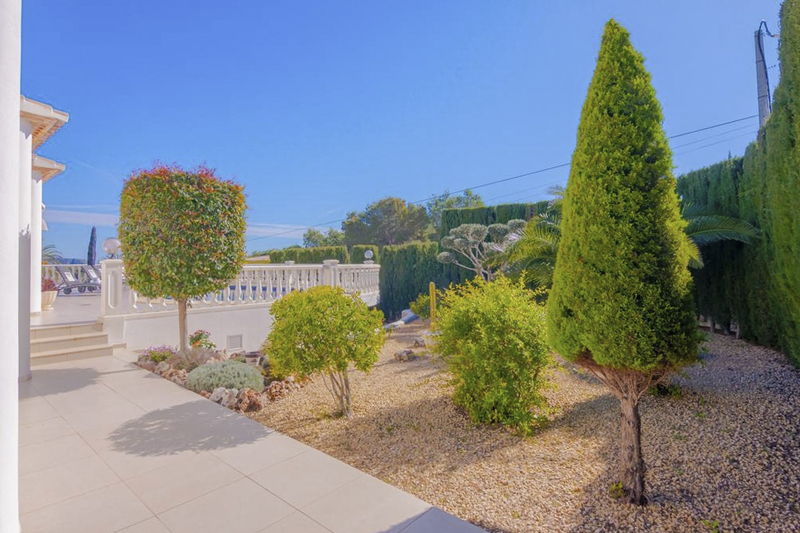 Here you will find some exotic plants and small trees for your little slice of the Costa Blanca countryside. Set within a quiet residential area, Villa Joana is close to a good range of amenities and facilities. The towns of Benissa and Calpe are both just a short distance away, as are the sands of Playa de La Fustera. Playa de La Fustera beach is excellent for a family day out as the waters here are calm and ideal for swimming. They’re also crystal clear, so if you go snorkelling, you’re sure to see a wide range of fish and other sea creatures. If the children want to try something a bit faster paced, hire a kayak or some paddle boards and see the area from a different perspective. There’s a restaurant for enjoying a leisurely lunch, or you can make a picnic and eat it while relaxing in the sand. One of the Costa Blanca’s oldest towns, Benissa is now a thriving and popular resort. It still retains much of its historic charm and has an old town area with cobbled streets that are full of interesting sites. Visit the town hall which started life as a hospital in the 18th century and the beautiful neo-Gothic parish church. This area isn’t short on restaurants either, so stop in a traditional eatery for some delicious paella or grilled fish. 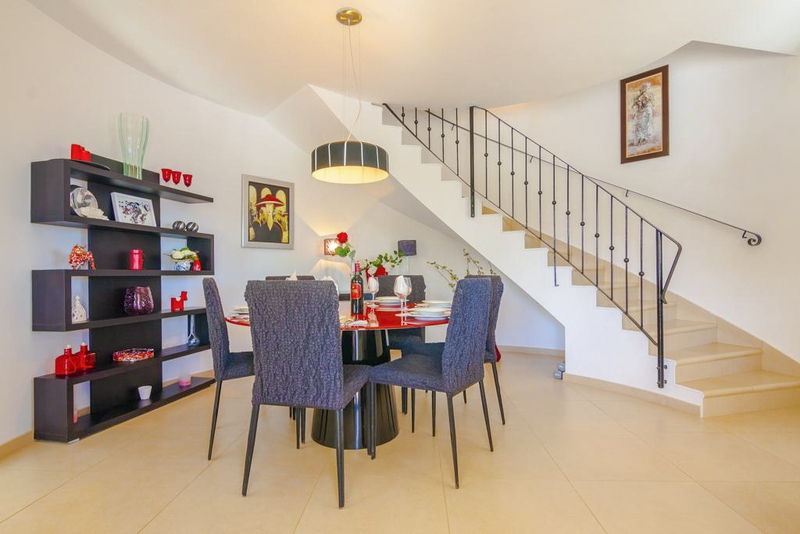 You can also take the opportunity to stock up on essentials from the numerous supermarkets and shops in both the old town area and the more modern part of Benissa. 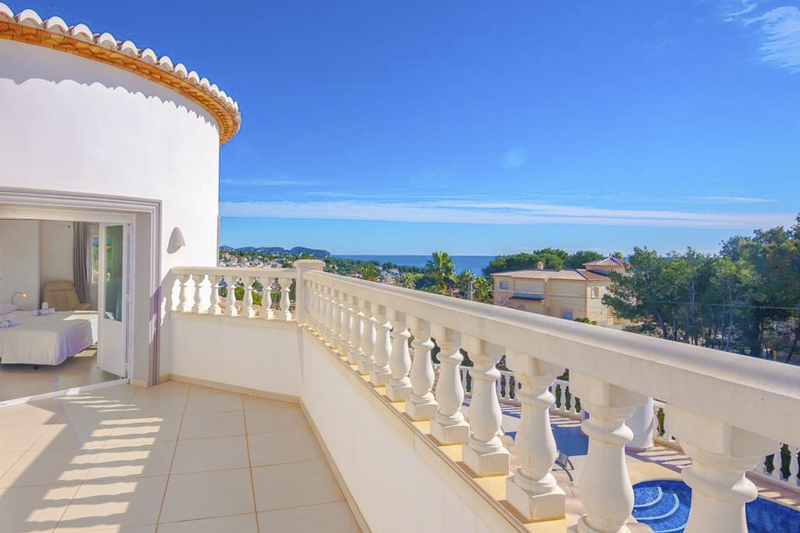 Calpe is around 3 km away from the villa and is another historic seaside town. But the town’s most impressive sight is Penyal d'Ifac, a rocky outcrop rising from the sea. It’s a protected natural park and is home to many rare plants and over 300 animal species, including a variety of birds. Follow paths all the way to the top if you’re feeling energetic and you’ll be rewarded with some fabulous views.